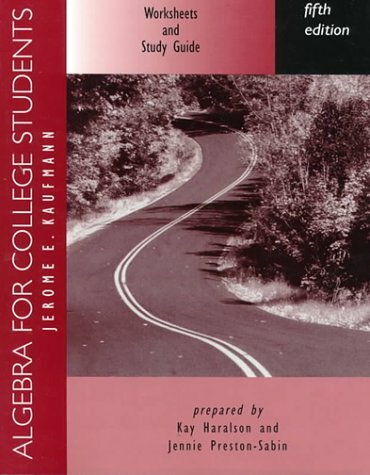 Thousands of students have learned algebra with the Kaufmann Solution-an outstanding array of texts and supplements that offer a totally integrated system of instruction and learning. 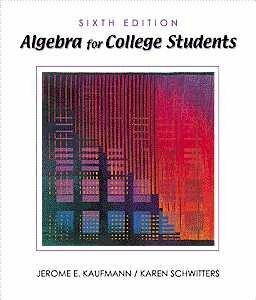 Algebra for College Students, Fifth Edition, continues to offer Kaufmann's proven method, which helps build student confidence as it imparts the basic skills and concepts of the course. From Kaufmann, students learn a skill, use the skill to solve an equation or inequality, and finally use these equations or inequalities to solve word problems. 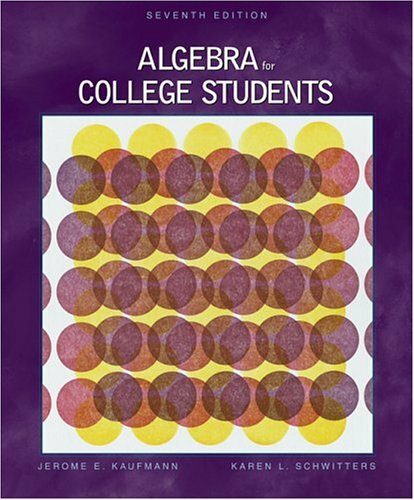 In this way, students are consistently presented with the immediate connection between algebraic manipulative skills and problem solving. In the process they learn to think about mathematics! "The writing style of this text is, for the most part, clear and accessible. ... 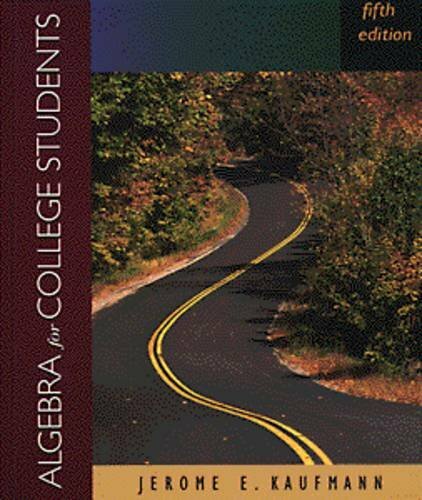 The exposition is example-driven, and I think this also is important for most college algebra students. ... (The exercises) are one of the great strengths of the text. I have been quite pleased with the quantity of the exercises and the speed at which they advance from easy to difficult." 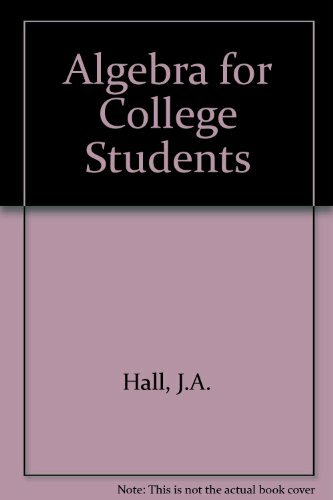 "I found that the goals of the authors as mentioned in the preface have been fulfilled. The concepts are explained clearly. The sequence used to present ideas is logical and the textbook is as easy to read as they claim." "I especially like the fact that it is not wordy nor does it have unnecessary talk or 'goofy' caricatures. I believe the students also find it readable. Students only expect reading that explains the procedures for solving problems." 3. 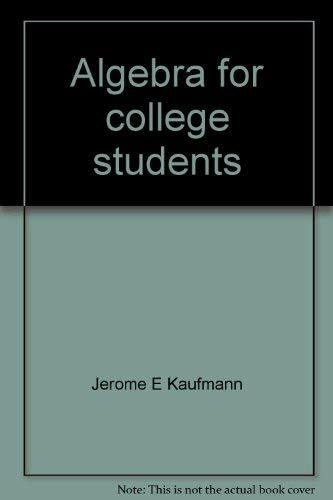 Algebra for College Students Kaufmann, Jerome E.